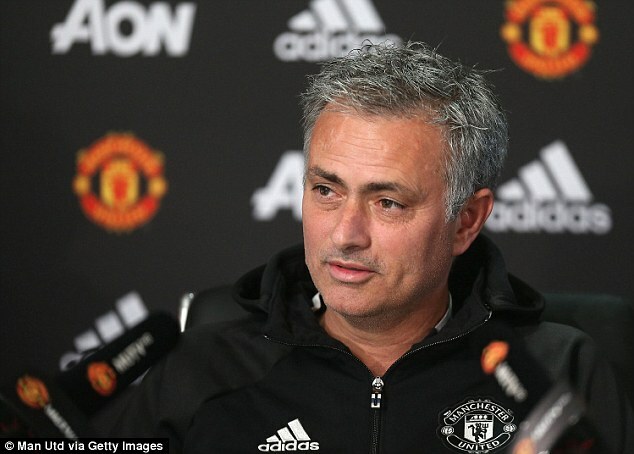 Jose Mourinho prepared for Saturday’s lunchtime showdown with Arsene Wenger’s Arsenal at Old Trafford by saying he does not get the same respect as his great rival. Mourinho knows his team will fall nine points behind Arsenal in the Premier League if he loses to Wenger for the first time in a competitive match. 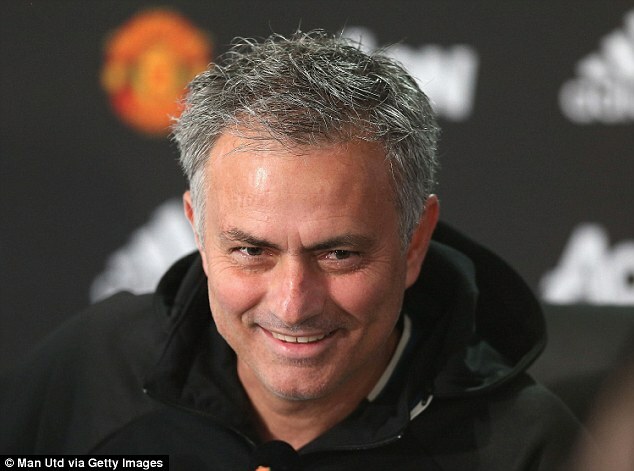 As the Manchester United manager prepared to face one of his great modern rivals on Saturday, Mourinho claims the Frenchman is afforded a respect that he himself doesn’t get. 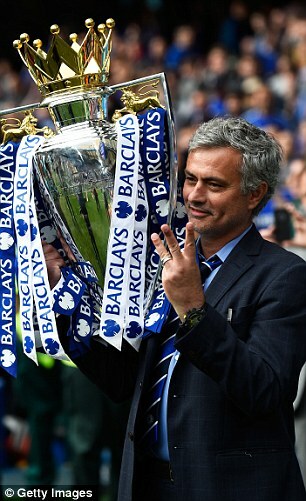 ‘This match is between the two managers with the best record in Premier League,’ said Mourinho . ‘Mr Wenger has that respect from all of you, I don’t think I have. ‘My last Premier League title was 18 months ago, not 18 years ago. It was 18 months ago but I don’t think that I get that respect. 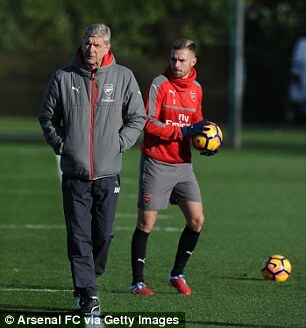 Wenger has already said he will shake Mourinho’s hand on Saturday and the Portuguese did not deliberately stoke the rivalry any further on Friday. But he added: ‘Maybe it’s my fault. Maybe I put the level so high that people don’t expect different. ‘I won at every club. I was champion in every club. I won cups with every club. I won in every country. ‘I won in four different countries. I won in Europe. I won in domestic competitions. ‘I always won in the first or second season so nobody here is saying, “OK, let’s see if he can win with Manchester United at the third season”. Mourinho’s team have been inconsistent so far this season and the Portuguese heads in to this game under some pressure. But he said: ‘I want to win my ninth league title and my fourth in England. ‘I am at the club where I want to be, it’s as simple as that. When I was sacked at Chelsea last season I had lots of offers. ‘I could have been working one week after. I could have been working at some of the biggest clubs in Europe. But I waited. I want to be champion at every club I work at. I want to do that at Manchester United. 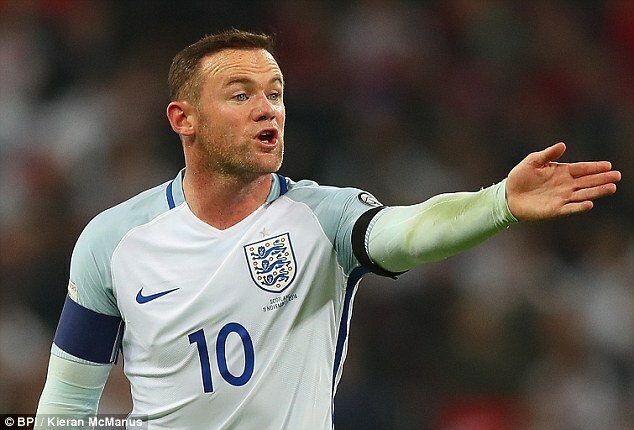 Mourinho also confirmed that Wayne Rooney is ready to play for United if selected, despite a knee injury ruling him out of England’s friendly against Spain on Tuesday. Sportsmail reported earlier on Friday that Rooney sustained the injury after slipping on an energy drink bottle while coming out of the shower. The 31-year-old hit the headlines when pictures emerged of him looking worse for wear in the early hours of Sunday after joining a wedding party at Hertfordshire’s The Grove Hotel. 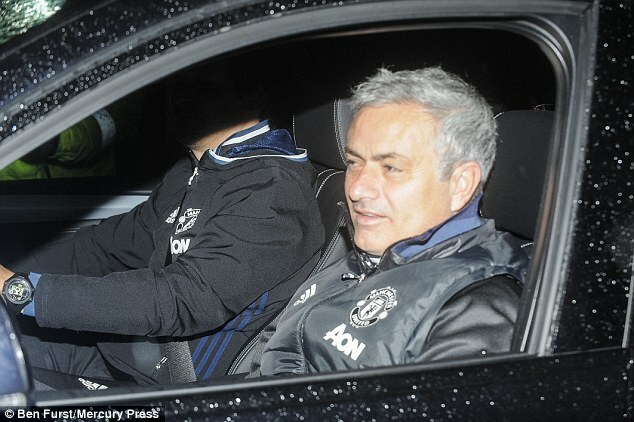 ‘Over the last two or three days, nothing happened,’ Mourinho said. ‘My players when they go to the national team, they belong to the national team. What happens there for good, for bad. I don’t interfere and I don’t like to comment. ‘Sometimes they come back stronger than when they left us, because something good happened there, something positive for them, good performances, good results. ‘Other times injuries, sometimes big injures, other times frustrations because they didn’t play, because the result was bad. Jose Mourinho said Arsene Wenger hasn’t won a Premier League title in 18 years but the Manchester United manager appeared to get his dates wrong. 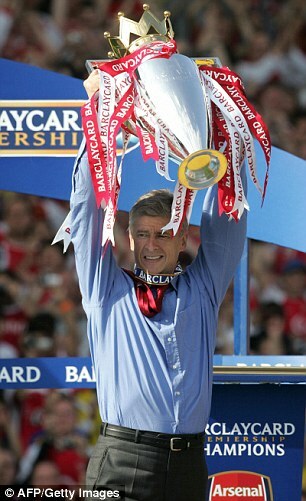 Wenger actually last lifted the Premier League title in May 2004 when his Invicibles side won the league.